As a dog owner, nothing makes me happier than knowing that I'm doing everything I can to make sure our dog is happy and healthy. He's such a big part of our family, and I just can't imagine life without him. So one of my biggest concerns is finding a dog food for him that is packed with great nutrition, and a taste he will love. We've tried feeding him a few different brands of food, but then I found out that switching him to Purina® Pro Plan® dry food would be a smarter choice. The goal of Purina® Pro Plan® is to give your dog the nutrition to be his absolute best, helping him to be energetic and resilient, and maintaining an ideal body condition, healthy skin, and a stunning coat. These are all very important concerns for our dog, so making the change to Purina® Pro Plan® was an easy decision for us. 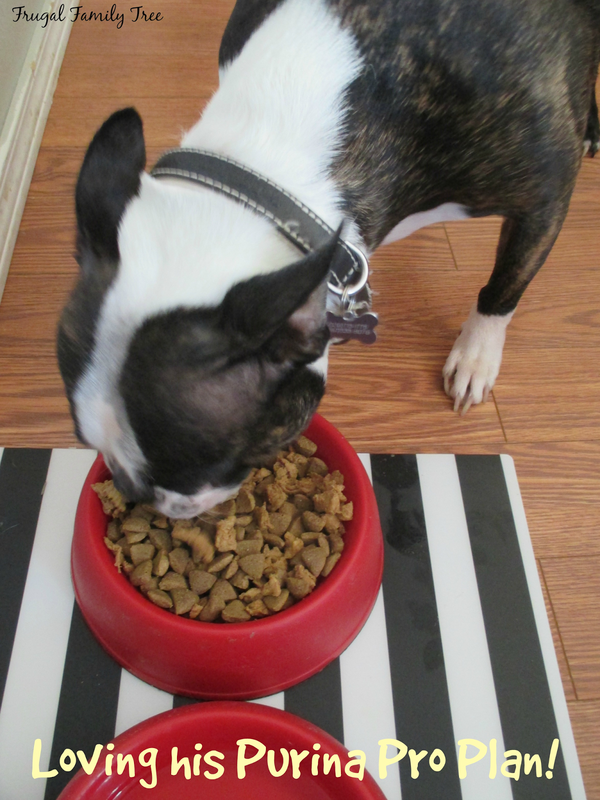 I found the most amazing selection of Purina® Pro Plan® at PetSmart, and a helpful staff to answer my questions about which formula of food to choose. I love shopping at PetSmart because I always find everything I need there, and the selection of pet items is the biggest I've ever seen. And of course, I love finding all the cute toys, Halloween costumes and treats there as well. This is our sweet boy Chewy. He really is the best dog I've ever met, so good natured and loving, and very gentle with my grandchildren. He loves watching any show with animals in it and growls and barks at them. I think this is one of his favorite things in life, besides eating and playing fetch. 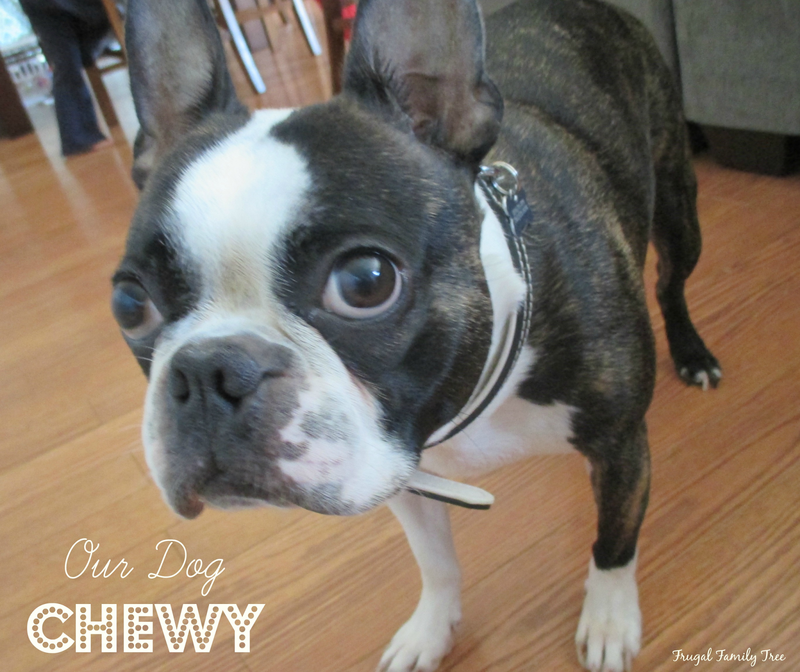 Making the switch to Purina® Pro Plan® was easy, and Chewy loved it right away. There was no tummy upsets or noticeable changes that we could see. I really like the fact that real chicken, beef, lamb, or salmon is the #1 ingredient found in all Purina® Pro Plan® dry formulas. It's the first dry dog food brand to use and be founded on the idea of real meat as the #1 ingredient to help promote total body health. Every high quality ingredient is chosen for a specific purpose. And just like people, what kind of food that dogs eat will help determine the quality of their health. 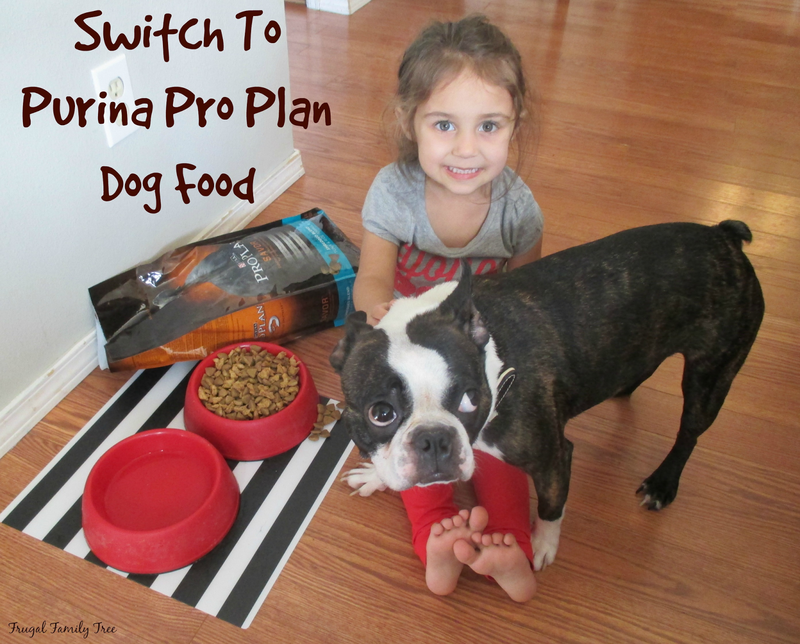 I know as dog lovers, we all want the best for our beloved pets, so switching to Purina® Pro Plan® can be a healthy choice. page here. 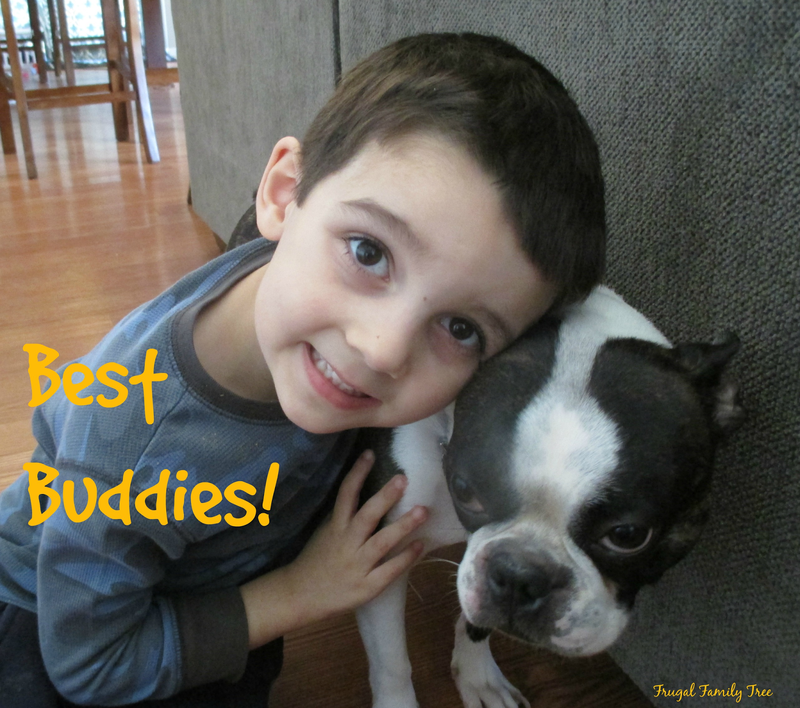 Share what means the best life for your dog, photos, stories, and more. We have a large family, so that means it's always somebody's birthday. Birthday cakes and presents are a must for all of those happy celebrations. The first year we had Chewy my grandchildren wanted to give him a party too. So we did, and when his second birthday rolled around, they wanted to do it again. So now it's just a fact of life that Chewy gets a birthday party every year, just like everyone else. So of course he needs a birthday cake, right? This year I made him a Peanut Butter Cake. 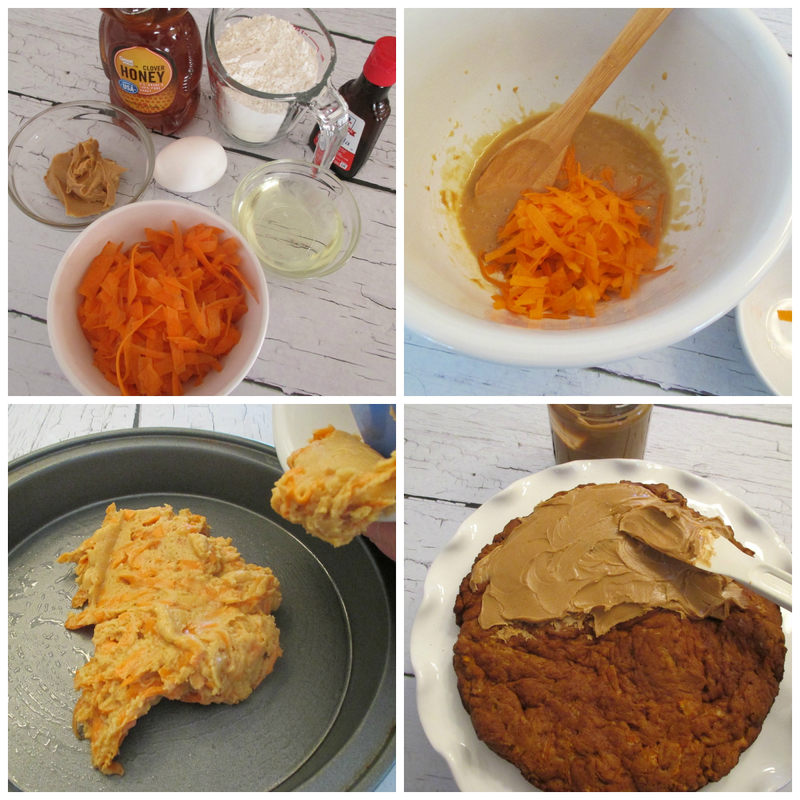 It's got carrots, flour, honey and peanut butter in it. I frosted it with more peanut butter, then I sprinkled pieces of the Purina® Pro Plan® on top of it. Though it's a dog cake recipe for dogs, humans can eat it too, minus the dog food on top. Doesn't everyone bake their dog a birthday cake, put a hat on him, and sing him Happy Birthday? I know it's silly, but it's become a happy family tradition for us, one that my grandchildren have come to love. Chewy even gets presents and it's the perfect time to spoil him. This is a super easy cake to make, with ingredients I almost always have on hand. I gave Chewy one slice of it on his birthday and kept the rest in the refrigerator. He got a little piece of it for a few days, and I know he couldn't believe his good fortune. Frost cake with additional peanut butter and top with dog food pieces. 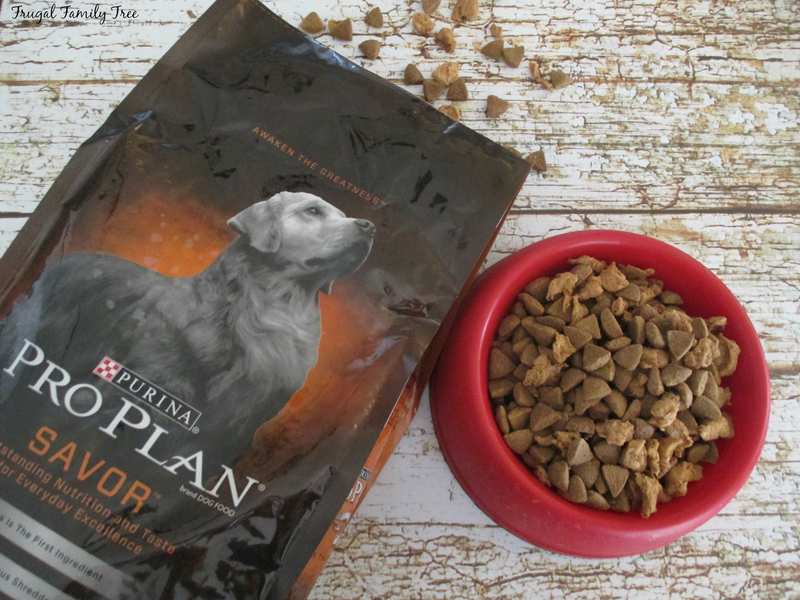 If you would like to try this food for your dog,visit the Purina® Pro Plan® MyPLAN website to get your dog's MyPLAN recommendation and a rebate offer for a free bag of Purina® Pro Plan® Dry Dog Food (4-6lbs, up to $18.99.) Good only in U.S.A. A.P.O's, F.P.O's. Void where taxed, prohibited, restricted. Allow 6-8 weeks for shipment. LIMIT ONE REQUEST PER INDIVIDUAL, ADDRESS, or EMAIL ADDRESS. Offer expires 04/30/2015. See full terms. Visit PetSmart to find the complete selection of all the Purina® Pro Plan® dog foods. And if you're like me, you won't be able to resist popping into the toy aisle to see what's new. Needless to say, our Chewy is a well loved pup. He's a lucky guy, but we're pretty lucky too because we get to share our lives with such a loyal and loving animal. Do you ever celebrate your dogs birthday, or bake him a cake? Is there some special treat you make him? I'd really love to know. Leave me a comment. Happy Birthday! My dog & I would enjoy that cake! What a sweet pup! 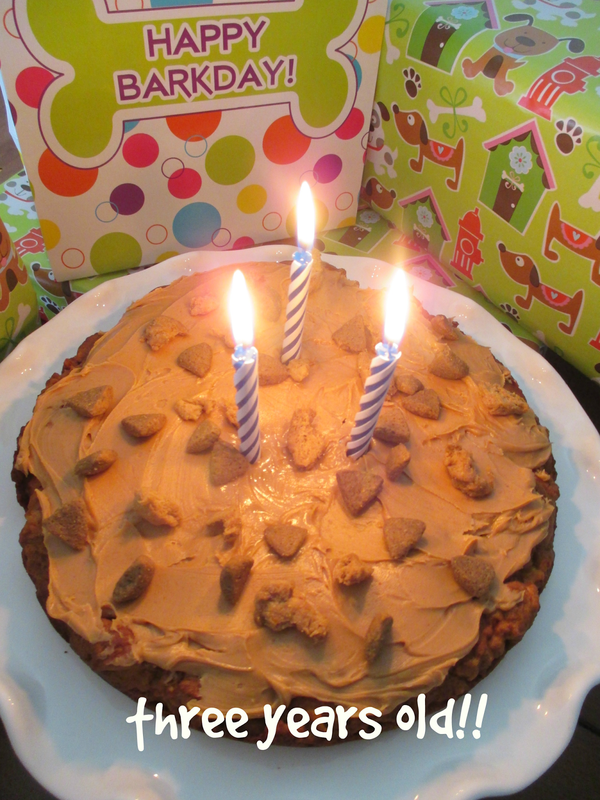 Love the birthday cake idea and can't wait to celebrate our puppy's first birthday in June! Happy Birthday Chewy! After reading your post, I think my dog needs to be celebrated with his own cake as well! 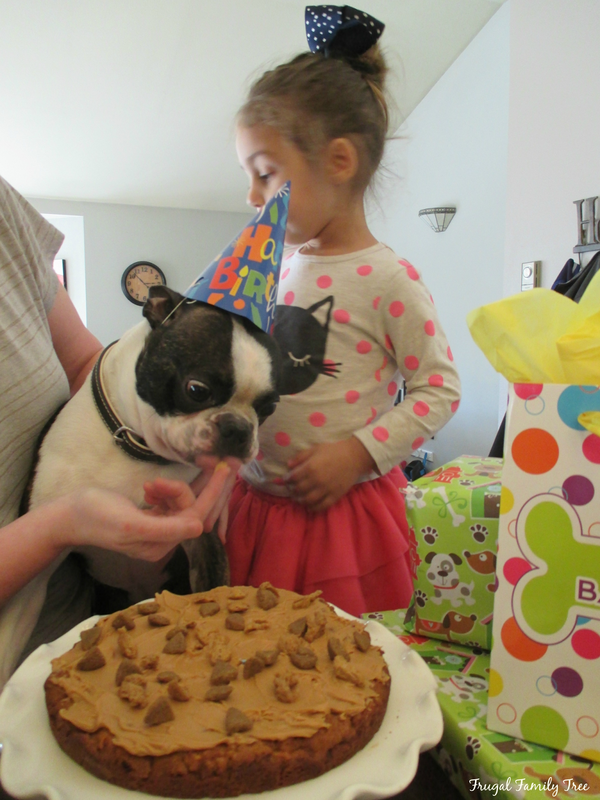 I totally agree - doggies need a birthday party too! Very sweet of you to make him his own cake. Happy birthday, Chewy!